All business entities build their companies in foundations known as core values. These foundations are what they normally stand for, both for their clients and employees. However, these values are often sidelined into oblivion. And if you bet on money as the replacement for these values, then you are right. Monetary gain is often considered the cornerstone for every business entity and there is absolutely nothing wrong with that. But a business with money as its only goal leaves very few people satisfied, especially the workforce. Right now, entrepreneurs are buying into this new breed of business model and remarkably, these companies are succeeding in both profit and personal satisfaction. In the UK alone, startup business surged into an estimate of 460,000 partnerships. Could it be because they have a different business model in mind? As a matter of fact, yes. And it’s called happiness. 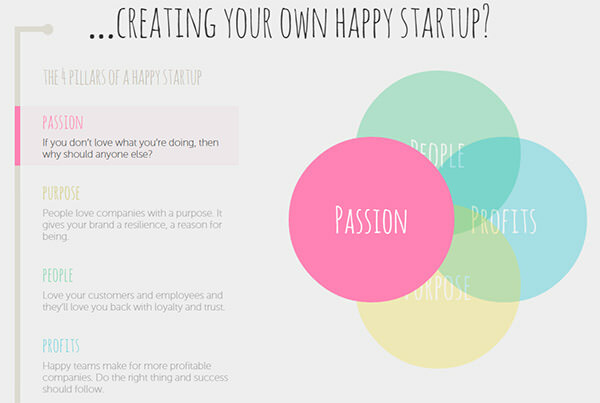 Okay, if you’re still not convinced that the happiness business model is for real, let me present you with some proof. Moo.com is a company that helps people print business cards, post cards and mini cards creatively. It was set up by Richard Moross in 2004 under the name ‘Pleasure Cards’. However, it suffered a lot of loss because of time, money, and bad branding. After its renaissance, Moo joined with Wee World, an avatar company and made Â£2m! 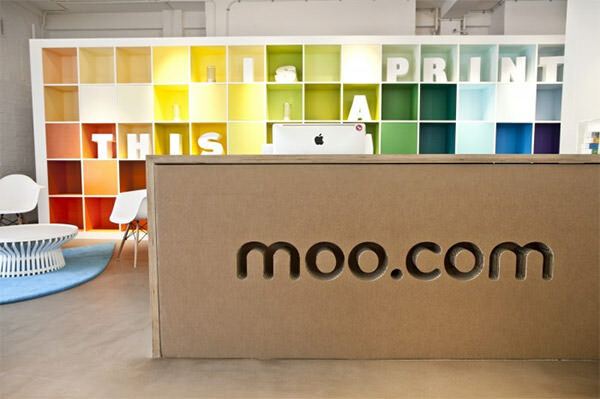 Today, Moo.com works with the likes of Etsy, YouTube and LinkedIn. Moross changed the company’s vision and established a company culture that was built on happiness. He believed that employees that are happy make customers happy, and everything will fall into place after that. He ensured that every employee has a share in the company. This means that when all things fail, everyone will be financially secured. He also emphasized work place environments where employees will work because they want to, not because they have to. The crew works in an open and collaborative way. If you’re really want to start your own business, or you’re already looking for benchmark company cultures out there, Zappos is a pretty big inspiration. If you haven’t heard yet, Tony Hsieh, Zappos CEO, makes billions of dollars annually for making people happy. That is Zappos’ company core value. Doing things with WOW and ensuring that when a customer buys something, they’ll be buying a lifetime of purchases and not just one. It is in this value that Zappos goes above and beyond the customer expectation and wants to have emotional values on its clients. They often do surprise order upgrades, free next-day deliveries and VIP upgrades out of the blue. Zappos. Hates. Boring. They put great effort in making work hours fun rather than dull and serious corporate prisons. 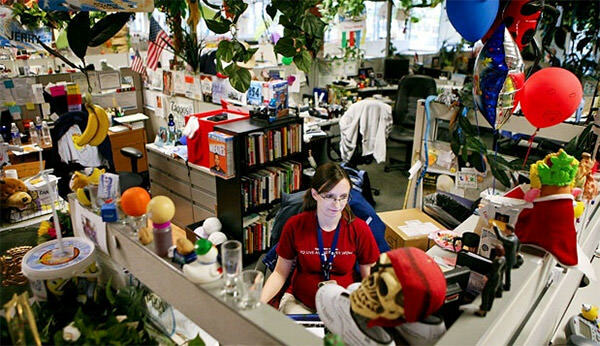 Zappos also believe that everyone should maximize their potentials. This is why the company challenges and pursues personal and professional growth. They offer classes on finance, well-being and establishing a balanced work and personal life. They also believe that trust is what drives business. This is my they open their doors to both clients and employees for concerns and suggestions. Zappos believe that success is the middle ground of casual relationships and operational excellence. This is why they constantly drive their plans towards improvement of work and fun, and this produces a few benefits to employees like cab vouchers, massage chairs, nap rooms, free food in all company canteens and more. The philosophy behind this business model is this. You, as a business, exists because there are people who need you. And as the main reason for your existence, you need to do everything for them to be fully satisfied. If you will notice, the companies we mentioned have a common denominator: they make their clients happy. I’ve mentioned earlier that you operate because of people. And by that I mean customers who pay you and your employees that create the things you are paid for. Remember to loosen the tie. Put the boring and monotonous aura aside and start redecorating your workplace. Remember that a happy crew means happy clients. I suggest you start with a few in-office games, then maybe add a free-for-all pantry, and try and mimic the companies we have discussed. The world is constantly changing. And this thought should push you to try new things. Get weird. Challenge the status quo and build your our own culture. People might see you as deviant or maybe even crazy at first but remember that people once thought the sun and stars revolved around the earth. Every business’ cornerstone is the one that everyone lives by. More than a corporate motto, it’s a company way of life. And everybody is expected to follow it, including you. So if you want to rebuild your culture into the ‘business of happiness’ then make sure you live by your words. After all, happiness is a need everybody desires. Good luck!